CW300 compacting wheel (also called press wheel, compress wheel) is the fittings design for copper/aluminum Continuous Extrusion Machine. It is adapted to all current 300 series extrusion machine (both domestic and imported) and worked together with extrusion dies& chamber. The heat treatment and cambered surface tolerance is very important procedure. Many factors influence the actual cost and lead time of a specific chamber. The best combination of product performance, quality, and cost is achieved when the customer, the product designer, the chamber vendor, and the extruder collaborate to develop the optimum product. 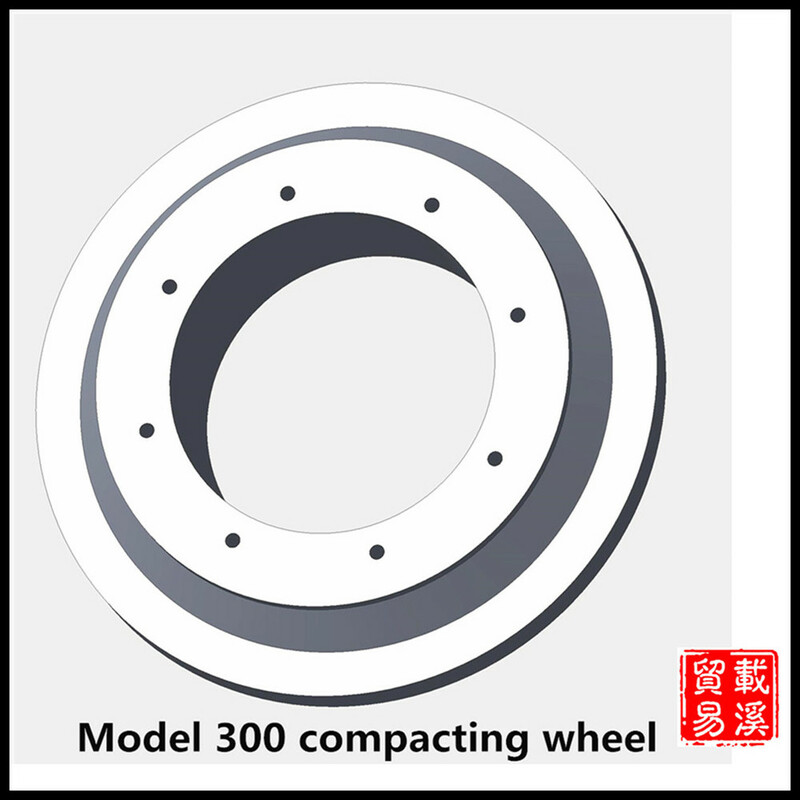 We're now producing current popular model of compacting wheel products, and can also make modification according to your special requirement. After sell technical support always available and for any other technical views exchange, we'd like to hear from you!